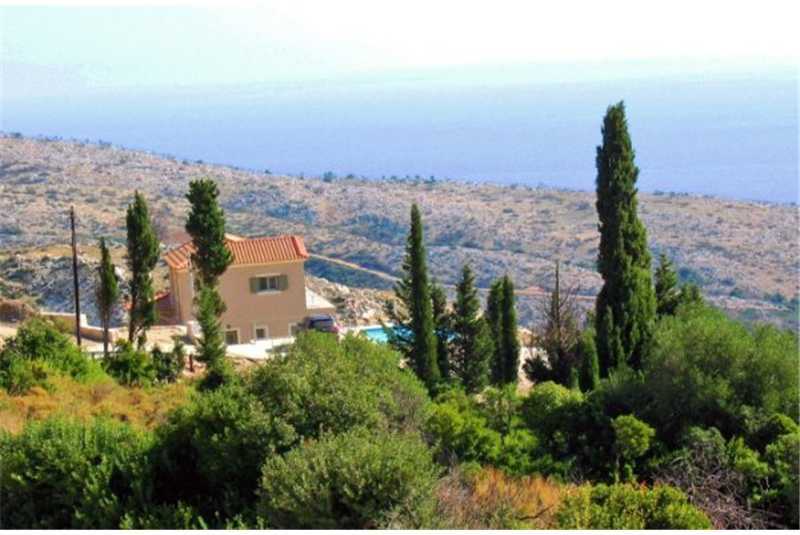 Villa Ambelonas is a modern luxury villa with breathtaking panoramic sea views, set amongst fragrant scented pines, cypress trees and wild thyme on the upper slopes of Old Skala. 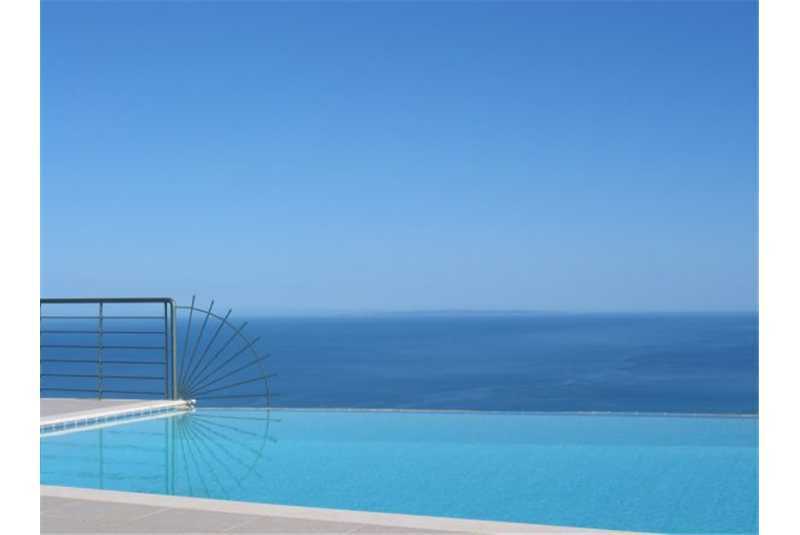 Villa Ambelonas is very private, is not overlooked and has breathtaking unrestricted sea views across the turquoise Ionian sea to the Greek mainland, to the island of Zante and to the pretty resort of Skala below. Villa Ambelonas, meaning Vineyard, is located in the area of Palia Skala known as Old Skala, on the site of a former raisin producer, with an old stone circle in the grounds. 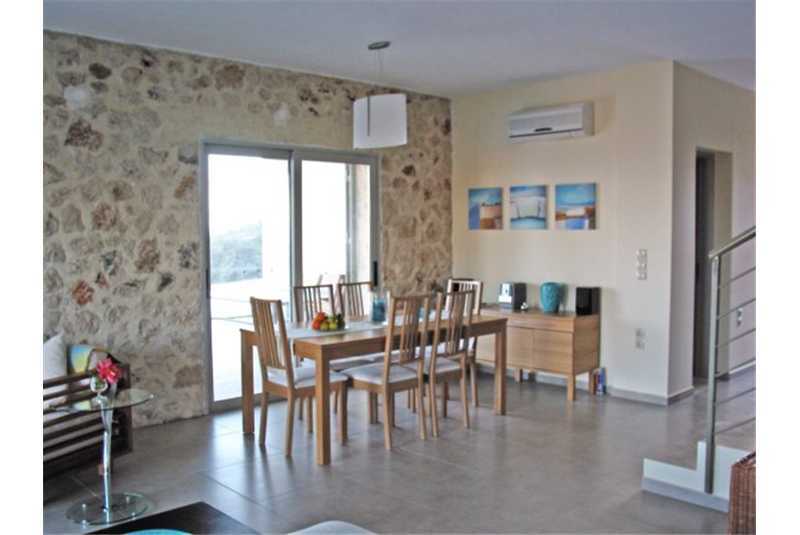 A communal tennis court, shop, internet bar and taverna are within walking distance from the villa. The beautiful rugged landscape has great trails for walking. 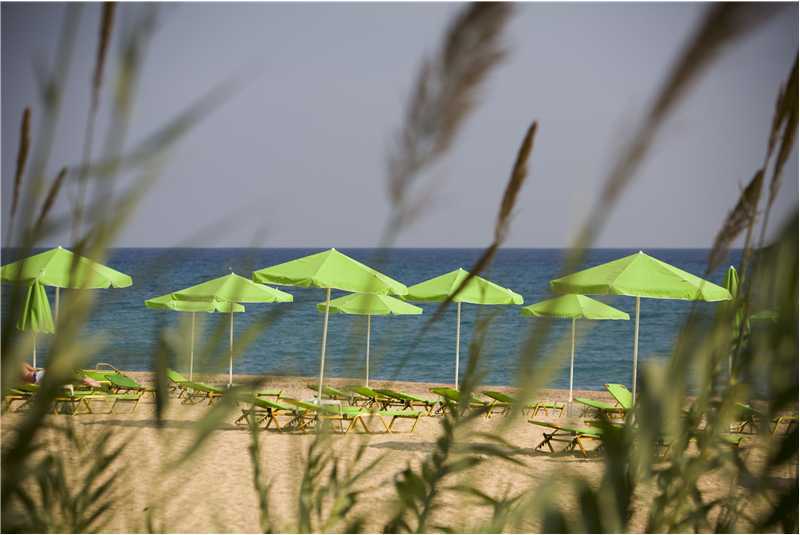 The fantastic beaches of Kaminia and Mounda where the Loggerhead Turtles return annually to breed are just two miles away, whilst the family friendly resort of Skala with its long golden sandy beaches, shops, tavernas and nightlife is no more than 10 minutes by car. Situated at the end of a private road, a secure gated entrance leads to a large parking area. Inside, the ground floor is designed in a light, open plan, contemporary style to take advantage of the fantastic sea views from three sets of patio doors leading onto the pool terrace. The large open plan kitchen is fully fitted with electric fan oven, ceramic hob, American fridge freezer, dishwasher and washing machine. Also on the ground floor is a spacious double bedroom with fitted wardrobes and dressing table. Sliding patio doors retract fully into the wall, to give you a fabulous sea view from your bed. The en suite bathroom has a double shower, washbasin and wc. On the first floor are two stylish twin bedrooms with dual aspect windows, high vaulted ceilings, exposed wooden beams, fitted wardrobes and en-suite bathrooms. 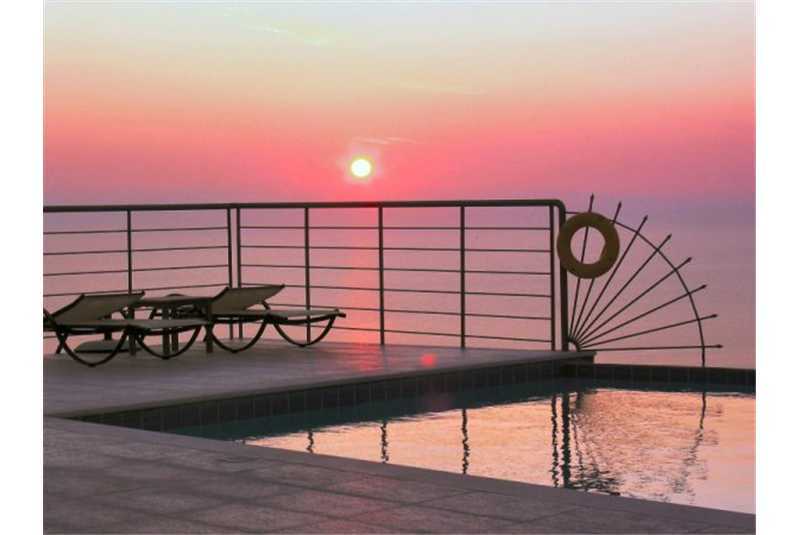 Both bedrooms have patio doors leading onto a large balcony with stunning sea views. Outside, the large shady covered terrace with colourful bougainvillea clambering around the pillars is an essential outdoor living space, with ample room for a dining table, chairs and outdoor sofas, to relax and escape the midday heat. 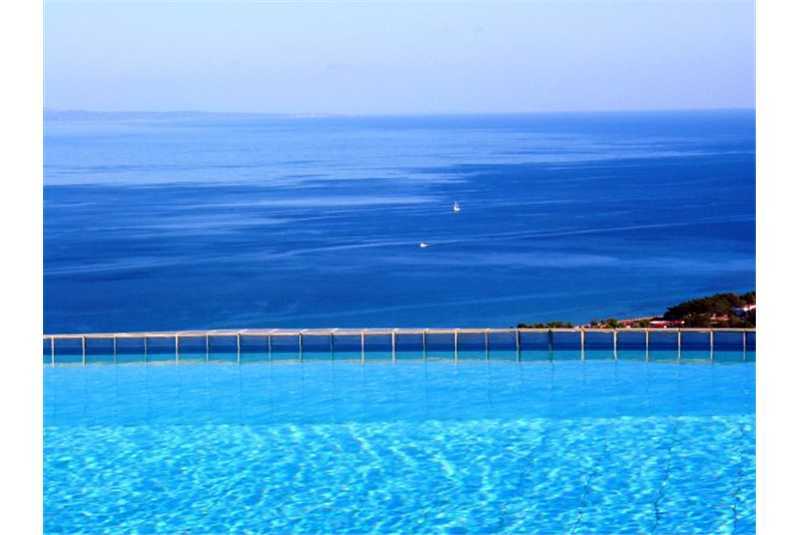 The 13m x 5m infinity swimming pool has an integrated Jacuzzi and marble surround. 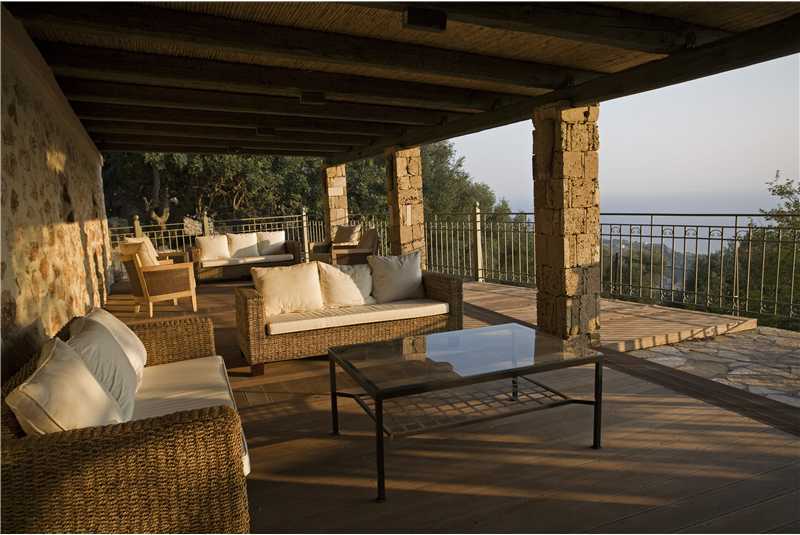 A 200m2 patio gives plenty of room for sun loungers and a large BBQ. A path leads to the old stone circle and terraced garden, planted with olive, lemon, grapefruit, orange, tangerine, apricot and pomegranate trees. Beds are planted with mimosa, hibiscus, yucca and palm trees, bird of paradise, red wattle, lavender and herbs for the BBQ. The land extends beyond the stone walls and fencing, to allow the goats and sheep to freely roam among the Greek maquis. 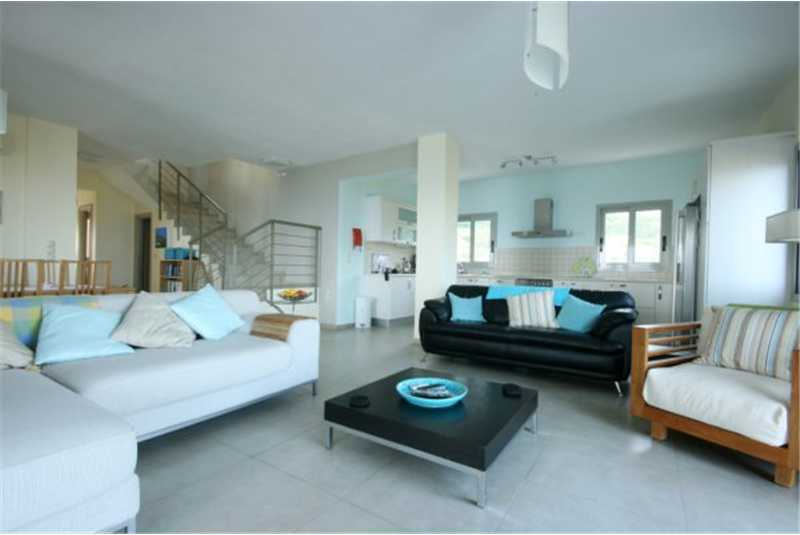 This villa is fantastic for families with wii consoles including 3 handsets, library and over 200 dvds to suit all ages including Oscar winning films and wii games. Just installed this year is brand new swingball set, badminton, tennis equipment and Sky Tv. Everything to keep all the family entertained. The villa can sleep upto 8 people (maximum 6 adults plus 2 children up to age 17) - with the 7th and 8th child sleeping on a camp bed. 7th and 8th child is chargeable and charged at £50 per person per week. - Additional 7th and 8th peson supplements will be shown on confirmation invoice. Master double bedroom (king size bed) with ensuite shower room and sliding doors leading onto the pool patio. 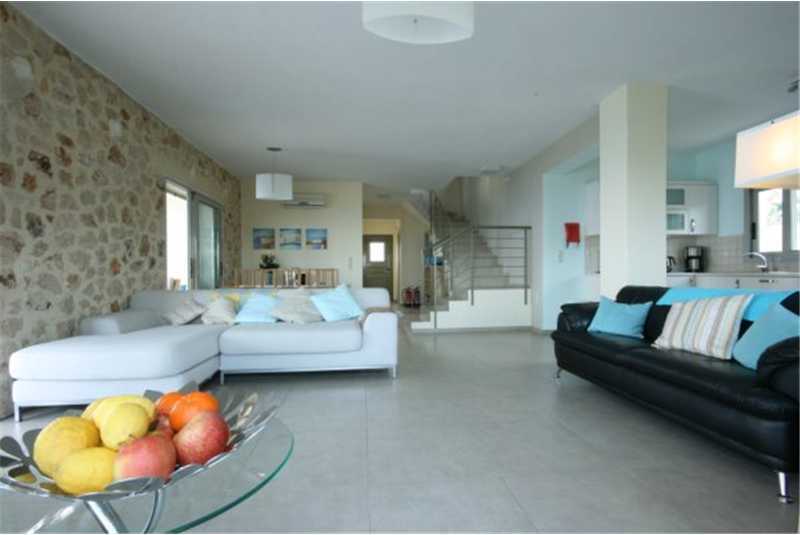 First floor twin bedroom with ensuite bathroom and seperate shower, large balcony with sea views. 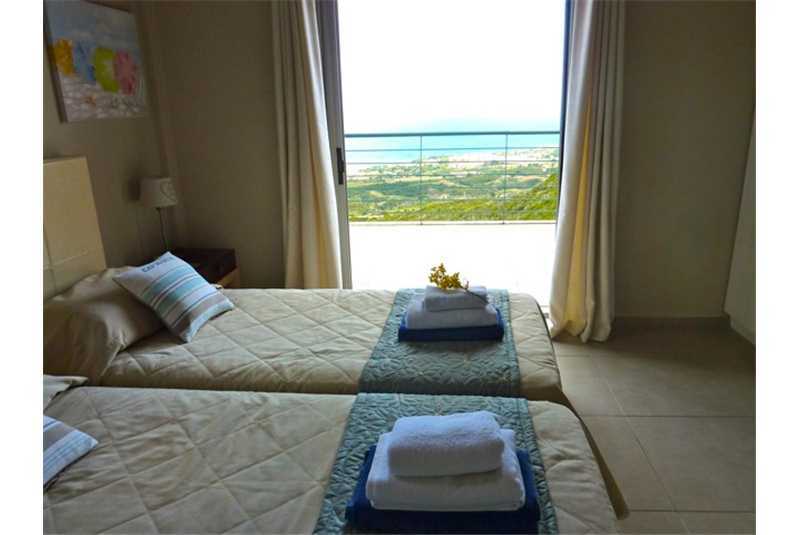 First floor twin bedroom with ensuite shower room, fitted safe and large balcony with sea views. Ground floor guest WC, basin and shower. 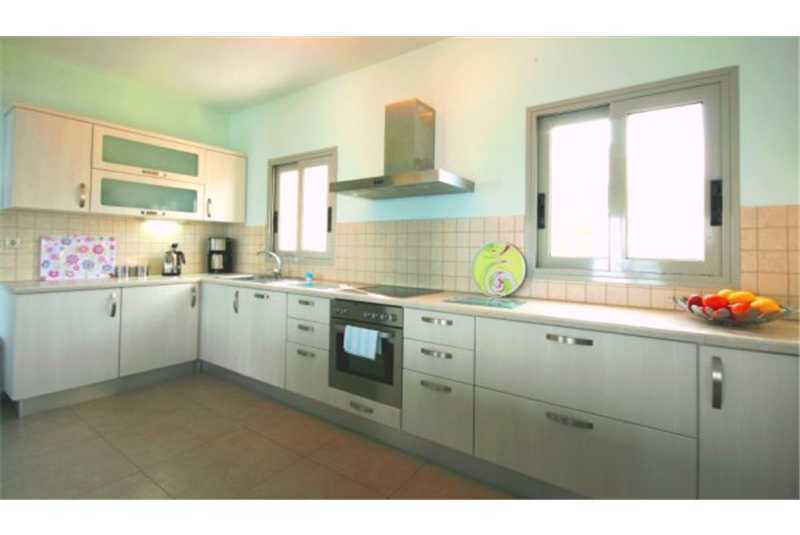 Fully equipped kitchen with large fridge/freezer, dishwasher, washing machine and microwave. Private "infinity" swimming pool with built in Jacuzzi. Large brick built BBQ with plenty of herbs growing nearby. Linen, towels and pool towels changed twice weekly.